Spending time outdoors in the summer is delightfully enhanced with a dog by your side. Utah happens to be a very pet friendly place. Most of the time your four-legged friends are welcome on hikes, at the Frisbee golf course or dining out. Utah is packed with National and State Parks. All state parks allow dogs, with the exception of the Rock Cliff Recreation area at Jordanelle State Park. And because most Utah reservoirs are watersheds, dogs are not allowed on beaches or in the water. National Parks are another matter. Dogs are not allowed at Arches, Bryce Canyon, Canyonlands or Capitol Reef. Dogs are allowed on paved trails at Cedar Breaks National Monument and Natural Bridges National Monument, but not on dirt trails. Dogs are allowed on the trails at Golden Spike National Historic Site. A good practice is to check the park’s website before you go. 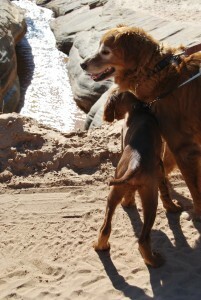 In Utah County, pets can hike on several trails including the Y Trail, Stewart Falls near Sundance and Payson Grotto. Salt Lake has several off-leash options including Tanner Park, Parley’s Nature Preserve and Millcreek Canyon on odd numbered days. In Ogden try the Little Mountain Rail Trail and Bonneville Shore Line. 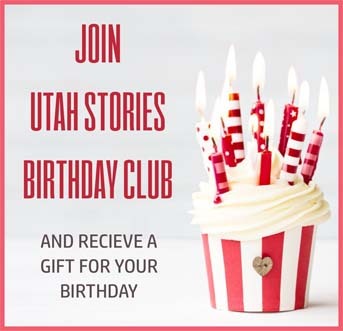 Salt Lake has some great patio dining, and thanks to the Salt Lake County Council and Salt Lake Valley Board of Health, your dog can join you. 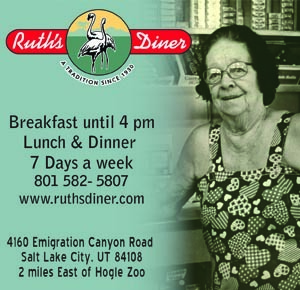 In 2012 the council brought the matter to the Salt Lake Valley Board of Health and they passed an ordinance allowing dogs on restaurant patios at the discretion of restaurant owners. Green Pig and Coffee Garden are two restaurants with patio dining where dogs are welcome. There are classes you can take with your dog, including agility training, flyball – extreme “fetch”, and Frisbee courses. There are also several obedience classes available and advanced classes to learn scent work, tricks and tracking sports. Kanab and Moab are adventure destinations for people from all over the world and they just happen to be two pet friendly cities as well. Both offer several pet friendly motels, patio dining areas and hiking experiences. Kanab is home to the Best Friends Animal Society, and according to Media Director Barbara Williams, they offer many experiences for animal lovers. 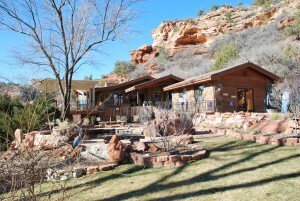 Visitors can tour the sanctuary and go on hikes around Angel Canyon. Volunteers can work with the sanctuary animals, including birds, pigs, rabbits, horses, dogs or cats, in care, grooming, socializing and cleaning. Volunteers can even take an animal on a sleepover to prepare them for a forever home. Best Friends recommend volunteers sign up ahead of time since the slots fill up quickly. Volunteer time is up to the visitor and can be for a day, a week or longer. Regarding activities at Best Friends, it is best to leave your pet at home and enjoy the animals already there. It is possible to call ahead for the walking tour as they allow one dog per group. Successful outings and trips with your dog require only a minimum of pre-planning. The first step is to know the regulations of your destination. Most information can be found online. Check to see if dogs are allowed, and if so if they need to be leashed. Always be respectful of your dogs and of the people around you. Sometimes a leash can help protect your dog from dangers in the wild. Wild animals, even squirrels, can become aggressive when chased and will emphatically defend themselves. Other dangers can be fast moving water, dehydration and overexertion. Always bring plenty of water and some food. And make sure you clean up after your pet. The old motto, “take nothing but pictures, leave nothing but footprints,” applies to dogs as well as their human friends.